Why would we want such a thing? 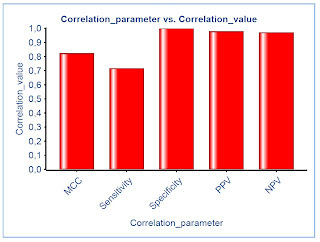 Like with the regression validation parameters, I found that PP lacked a component to calculate correlation coefficients between two properties in the data stream in classification. The component calculates these parameters between two properties. Therefore, when using in external validation of a model, the modeled values have to be pre-calculated.